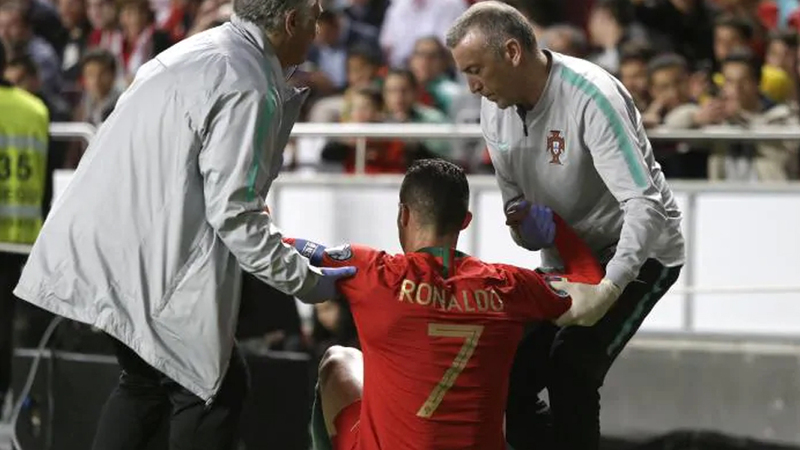 Forward Cristiano Ronaldo went off injured as Portugal drew their European Championship qualifier 1-all against Serbia. Euro 2016 winners Portugal have begun their defense with two draws at home. In other matches, England beat Montenegro 5-1. 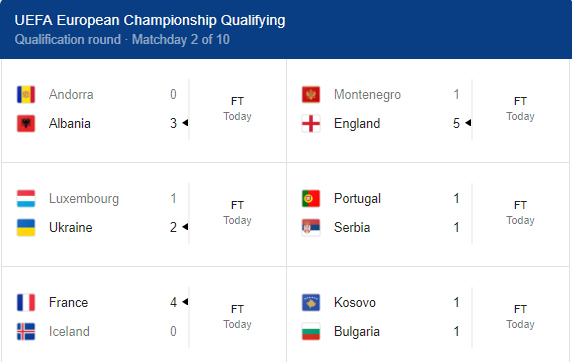 Ukraine defeated Luxembourg 2-1, Albania won against Andorra 3-0 and Turkey defeated Moldova 4-0.